Electroconvulsive therapy effectively treats severe depression: How? 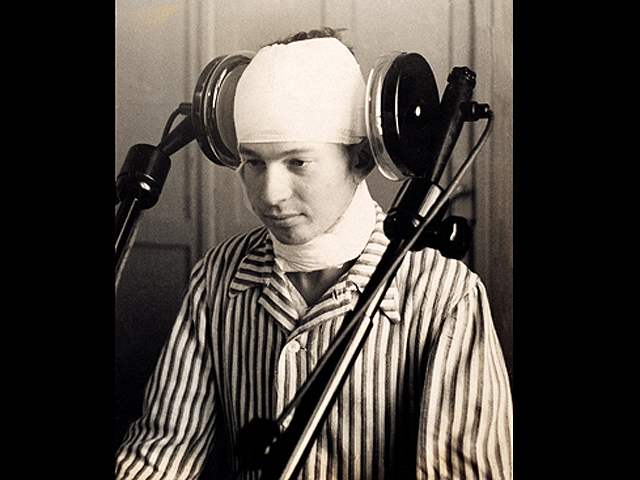 (CBS News) Historical imagesof electric shock therapy can appear frightening -- the sight of a patient strapped to a table wearing a head strap that's certain to send volts of electricity shooting through their heads. But contrary to popular belief, electroconvulsive therapy (ECT) hasn't gone away since the time of "One Flew Over the Cuckoo's Nest," and is still used to treat mental health issues such as bipolar disorder and schizophrenia. A new study says ECT could help severely depressed patients more than antidepressants and other treatment options. During modern ECT, a patient undergoes anesthesia and has a seizure induced by electrical impulses sent through electrodes to the brain. Despite the procedure's early popularity and 70 years of use, scientists have never understood the mechanism by which the procedure affects mental health. For the study, published in the March 19 issue of Proceedings of the National Academy of Sciences, Scottish researchers examined how ECT affects the brain by testing the procedure on six male and three female patients from the Royal Cornhill Hospital, Aberdeen who failed to respond to antidepressants. The researchers gave the patients ECT twice per week until their symptoms went away for an average of eight treatments. Previous research suggests depression does not affect only one area of the brain, but rather is a "hyperconnection" between several areas of the brain responsible for processing emotions and mood changes. The researchers found by giving patients ECT, the connection strength is reduced between these areas of the brain. "And the change that we see in the brain connections after ECT reflects the change that we see in the symptom profile of patients who generally see a big improvement," study author Dr. Ian Reid, professor of psychiatry at the University of Aberdeen in Scotland, said in a written statement. "ECT is a controversial treatment, and one prominent criticism has been that it is not understood how it works and what it does to the brain," Reid said. "We believe we've solved a 70 year old therapeutic riddle because our study reveals that ECT affects the way different parts of the brain involved in depression connect with one another." Up to 20 percent of depressed patients currently receive shock therapy, Bloomberg reports. "For all the debate surrounding ECT, it is one of the most effective treatments not just in psychiatry but in the whole of medicine, because 75 percent to 85 percent of patients recover from the symptoms." But there are side effects. People who undergo ECT may experience temporary memory loss or painful muscle spasms. Last year, FDA advisers said ECT machines needed more testing but not enough was known about the machines despite their wide-use, CBS News reported. Reid said added that despite its effectiveness, ECT should only be used for people who are severely depressed and in danger of taking their own life or if they haven't responded to other treatments. WebMD has more on electroconvulsive therapy.